After experiencing the unique care hospice provides, we have many patients and families who have said they wish they would have called hospice earlier. Although it is difficult to know exactly when to call hospice there are some signs to look for that may help decide. Has your loved one had multiple hospitalizations and stated they no longer want to go to the hospital? Has it become increasingly difficult to go to the doctor’s office? Has your physician stated the disease has progressed and they are no longer able to cure the disease? These are some of the indications that it may be time for hospice. Here at Hope Hospice we are available to speak with you to answer any questions you may have. Hospice services are available to patients with life-limiting illnesses who can no longer benefit from curative treatment. Patients have life expectancies of six months or less if the disease follows its normal course as determined by a physician. Recognizing that determination of life expectancy during the course of a terminal illness is difficult, the National Hospice and Palliative Care Organization has published medical criteria for determining prognosis of certain diagnoses. These guidelines form a reasonable approach to the determination of life expectancy based on available research and the most current information. Some patients may not meet the criteria, but may still be eligible for hospice care based on other co-morbidities or rapid functional decline. It is the physician’s clinical judgment regarding the normal course of the patient’s illness that determines a prognosis of six months or fewer. We are dedicated to providing hospice care to all people who are eligible for hospice services regardless of their diagnosis or ability to pay. The Medicare criteria for hospice guide is designed to assist physicians in determining hospice appropriateness. 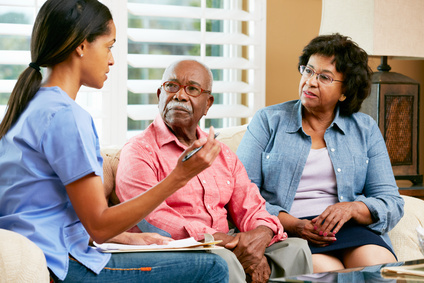 There are specific criteria for hospice eligibility for a variety of conditions, including: Cancer Alzheimer’s/Dementia HIV/AIDS Kidney/Renal Disease Liver Disease Pulmonary Disease (COPD) Cardiovascular Disease Stroke/coma Unspecified Debility/Failure to thrive (Non-Specific Terminal Illness) Neuromuscular Diseases: Amyotrophic Lateral Sclerosis (ALS) Multiple Sclerosis (MS) Parkinson’s Disease Huntington’s Disease. For more information or questions, call us at (951) 679-8872. We are here to help. Progressive disease with increasing symptoms and/or worsening lab values and/or decreasing functional status and/or evidence of metastatic disease, particularly brain.